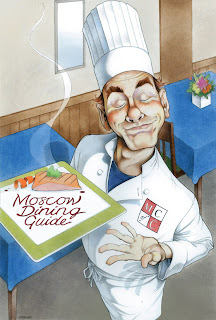 Here's the final version of the Moscow Dining Guide illustration. I hope they like it as much as I do. I'll post the concept drawing along with the final for reference. Hopefully, you'll be able to tell the difference. 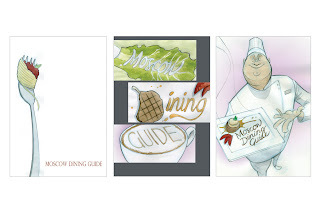 The chef in your final composition looks eerily like the owner of I.F. 's most amazing restaurant. Weird.